Being a woman is not easy. The challenges she face are many. Whether she evolves as an independent and powerful person or gets limited to the four walls of house and kitchen largely depends upon her upbringing. In fact, to be more precise, it depends upon her father. And if she has brothers, then on her brothers too! I, being a single child, I would say that what I am today is largely because of my parents. My father to be in particular! 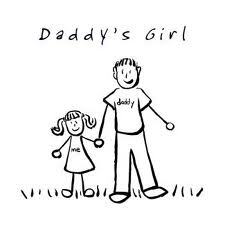 This may be so because daughters tend to be closer to their fathers. To begin with, my father is known for his short-temper. He has an acute road fear. He resigned his job because his company continued to transfer him and he was finding it harder to be with us. He is perennially homesick and feels devastated if he is asked to live in my absence. In spite of being such a person, he has never once raised his voice against me. He let me follow my dreams and held my hands so that I could make my dreams come true. He gifted me a scooter when I turned 18 years though he is still worried about my safely on road. After all, he has a tremendous road fear. Then, he let me use my wings and fly away from home to meet my professional demands. Such is a person he is. And he made me what I am. Without him and his persuasion, life would not have been as colorful as it is now. Without him, I would have been someone different!